The team from I'm Sorry I Haven't A Clue present their own unique take on Lewis Carroll's most famous work, casting their reluctant chairman - the late Humphrey Lyttelton - in the title role, with support from Graeme Garden, Tim Brooke-Taylor, Barry Cryer, Sandi Toksvig, Tony Hawks, Andy Hamilton, Rob Brydon, Jeremy Hardy and Jacke Dee, with Colin Sell at the piano. 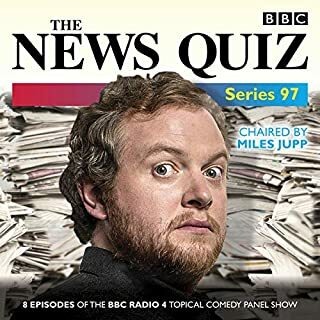 Humph presides over regular players Tim Brooke-Taylor, Barry Cryer, Graeme Garden and Willie Rushton plus guests including Jeremy Hardy, Ross Noble, Andy Hamilton, Rob Brydon, Stephen Fry, Jack Dee, Sandi Toksvig, Tony Hawks, Linda Smith, David Mitchell, Marcus Brigstocke and Victoria Wood. 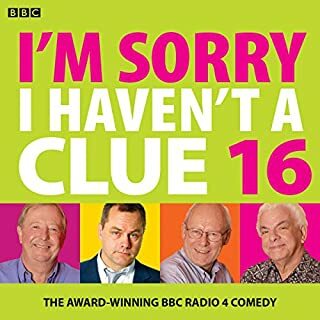 First published as I'm Sorry I Haven't a Clue Volumes 10 to 15, I'm Sorry I Haven't a Clue 'Live' Volumes 1 & 2, and I'm Sorry I Haven't a Clue Anniversary Special, this feast of unrestrained revelry and inspired ad libs is the authentic, award-winning antidote to panel games. Accept no substitutes! Beware of tears in your eyes while driving and funny looks from other drivers if stuck in a traffic jam. When's the next one coming out? 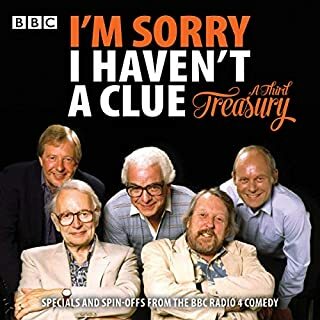 As a (fairly) recent convert to Radio 4's comedy offerings the greatest joy has been discovering for the first time the King of panel games - I'm Sorry I Haven't a Clue. 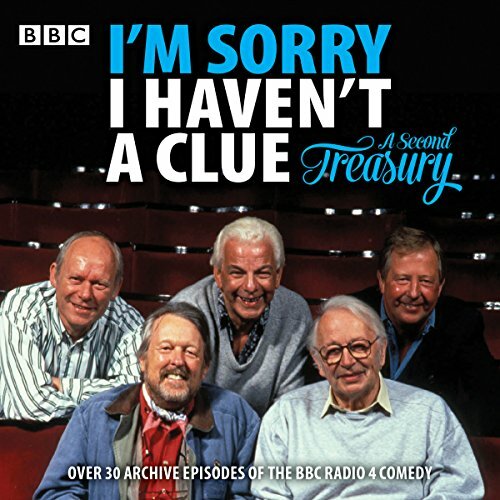 After endlessly listening to the first treasury collection earlier this year the wait for this second volume has been unbearable at times! I do not know of any other panel show that provides as many laughs per show as this one. Humph may have been the master chairman but Jack Dee has been a more than able successor to his seat mixing the same biting wit Humph has with his deadpan delivery. I've had the pleasure of seeing the show live in the past 12 months - once in Halifax for a recording and once at the Lowry for the touring show and have not laughed as much. This collection has been a great listen over the past couple of weeks since its release. A lot of the shows I have never heard before and the last couple of hours featuring the 30th anniversary recording, Clue Desert Island and the very first recording of the show was probably the highlight. 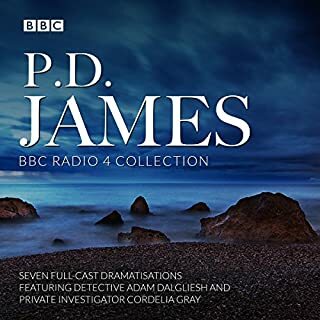 Whether you are a Audible customer or not this collection is great value (better if a Audible member though!). This and the first Treasury release are must buys. This is a chance to experience this once-great show during it's height (mostly) the 1990s, and to contrast it with today's completely sanitized version. 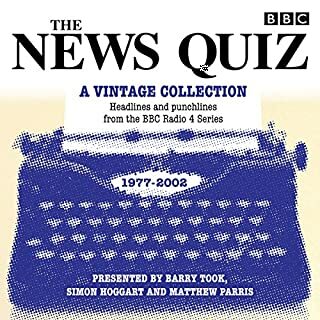 In those days, there was a genuine air of spontaneity about each show, as each panelist wrote their own material and kept it to themselves until the show started. There are a few Jack Dee episodes midway through, though the majority are chaired by Humph. 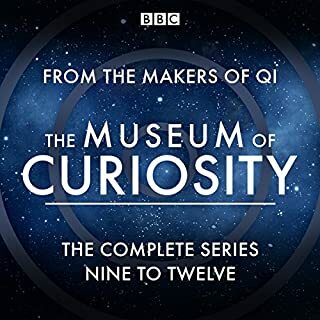 It's great fun for the most part, although it's a shame that the BBC continue to keep so many episodes under wraps. You'll certainly enjoy listening to it, so savour it while you can. The final show is from the 1970s, which is quite fascinating but unfortunately they don't indicate the specific date or year of transmission. There's plenty of laughter on and off the stage, the type of which you'll never hear again thanks to the BBC Compliance Unit's pre-show meddling. That's why you don't hear Barry Cryer laughing during the shows anymore. What a fantastic series of shows! 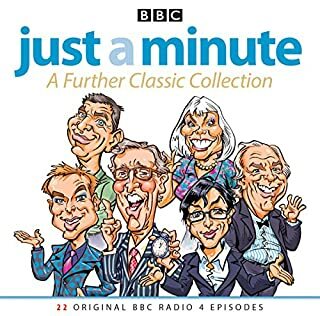 Bit strange how they went from Humph to Jack dee and then back to Humph, and the last show on the whole production is one of the very very early recordings of isihac which includes Jo Kendall who I can't stand quite frankly. Other than that I thoroughly enjoyed it all and I hope there is a third treasury in the works! I have grown up listening to this and am so glad to have this in my Audible library! Moments of genius are scattered throughout from the entire cast. This will be one to return to ....though maybe not while on public transport as it does make you laugh out loud, in the car it has made long journeys seem short, love it! 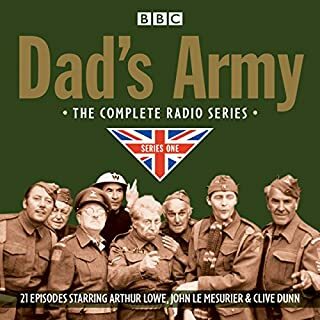 Absolutely hilarious from start to finish, awesome value for money, hard to beat the quality of comedy here. Hours and hours of constant laughter. 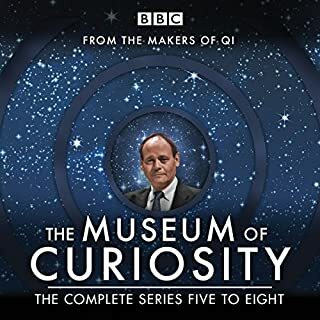 A great mix of episodes! 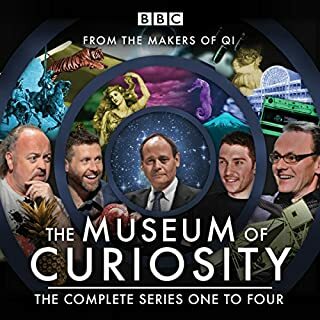 A great range of episodes ranging from the days of Willie Rushton and Humph up to Jack Dee and various guests. Good value for money too. 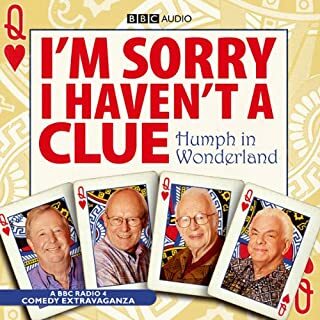 The magic combination of Humph, and his merry crew was as beguiling as ever and it was lovely to hear a few shows that have not been in previous collections. 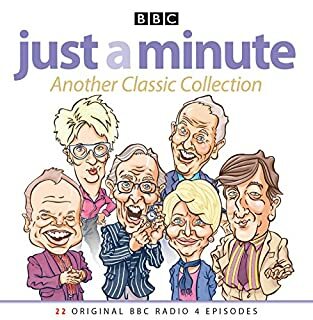 After all, there must be several hundred unpublished epidodes from thirty years of the original shows available from which the BBC could choose. However, from about chapter 26, the early Jack Dee presentations make an appearance, and although amusing, don’t hold a candle to Humph. Feel a bit cheated. Absolutely brilliant. This is how comedy should be done. Shame Willie rushden wasn't in this treasury but still can't fault the rest of the team. It rolled back the years for me.taking me back to my late teens. I can’t believe it started back in 1977 and it’s still on the air is just amazing. Just so funny, I was belly laughing at times. Loving old Hamish and Dougal pour brilliants. The only thing that’s different you can tell it’s mostly scripted now days. Taking away the spontaneity of it all, don’t get me wrong it’s still funny but not belly laugh funny. If you like comedy get this. 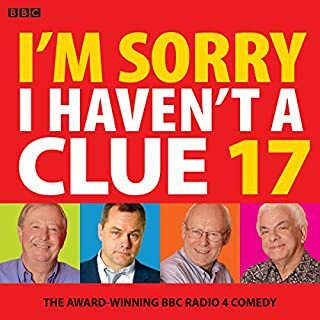 You wouldn’t know Barry Cryer was 83,Graeme Garden 75, and Tim Brooke-Taylor was 78. Not bad for three old men to be still on the show 41 years later and still being funny. Well done to the BBC for sticking with them. Hats off to you. You will not regret getting this audio comedy over 22 hrs of fun. What superb value, an absolute joy from beginning to end. 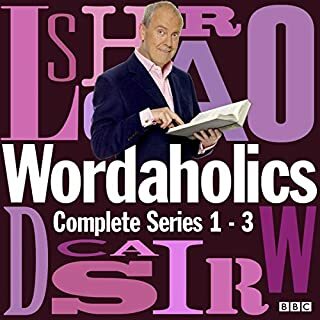 The much and outstanding loved series makes me laugh out loud.